Defence and security company Saab and FMV have concluded missile integration firings with Gripen and the MBDA Meteor BVRAAM (Beyond Visual-Range Air-to-Air Missile). These latest firings, conducted earlier this year, further verified missile integration with Gripen and validated seeker performance and missile range. This was the last major trials task required to clear the new missile for operational service on the Gripen C/D multi-role fighter. Full Meteor capability will be delivered as part of Gripen’s latest MS20 (Materiel System 20) combat systems update for the Swedish Air Force. Once MS20 has been cleared for service Sweden, and Gripen, will have the world’s first and only functional Meteor BVRAAM capability. In March 2014 Gripen conducted two airborne launches with MBDA’s ramjet-powered, Meteor very long-range air-to-air missile. These were the final Meteor launches before the missile is cleared for operational service with Gripen. The shots were carried out over consecutive days, on 12 and 13 March, at FMV’s Vidsel Test Range in northern Sweden. Saab performed the trials in cooperation with its customer, the Swedish Defence Materiel Administration (FMV), along with the Meteor supplier team which includes the missile prime contractor MBDA (and Saab). Two Meteors were fired at remotely-controlled targets. The tests demonstrated missile safe separation from the aircraft and datalink functions between the aircraft and missile. The tests also validated missile performance for the customer, FMV. Saab’s previous successful Meteor trials in Sweden had already provided software verification of the Meteor system integration. The March 2014 trials completed the full integration programme for Gripen C/D and MS20. 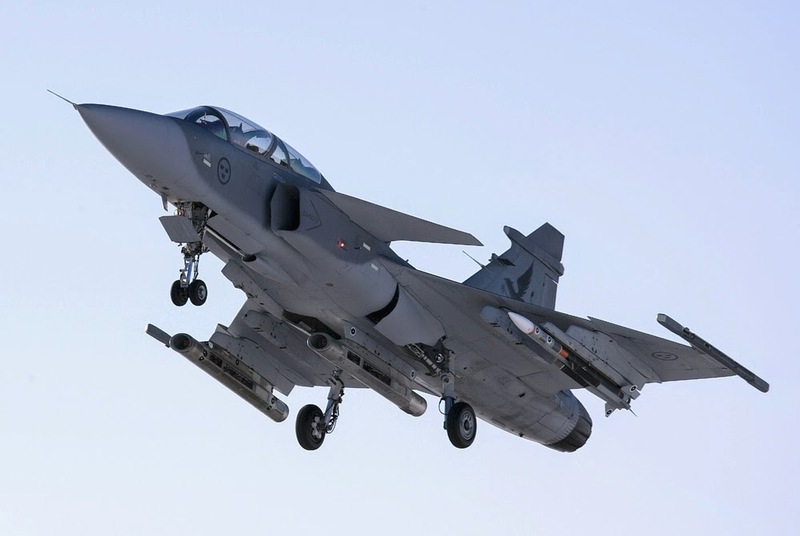 The March firings added significant additional data to Saab’s experience in using the missile with an operational combat aircraft, experience that is unrivalled after years of development and integration trials with the Meteor. The March 2014 trials parameters included firings at both low and high altitude and at speed while the launch aircraft was manoeuvring, as well as demonstrating a long engagement range, engagement of manoeuvring targets, aircraft/missile datalink functionality and missile seeker performance. Since March Saab has supported further Gripen/Meteor trials work in support of the final MS20 standard, including flight qualities testing and carefree handling validation. Delivery of the final MS20 to FMV, and subsequent operational test and evaluation, will be completed by the end of this year. “For Saab Aeronautics it has been a privilege to work together with the Meteor team during the development programme. The integration of this capability for the Swedish Air Force is a first for this kind of BVR missile. Sweden now has a head start in developing strategies to use this capability in air combat”, says Tobias Andersson, Project Manager for the Meteor integration, Saab. 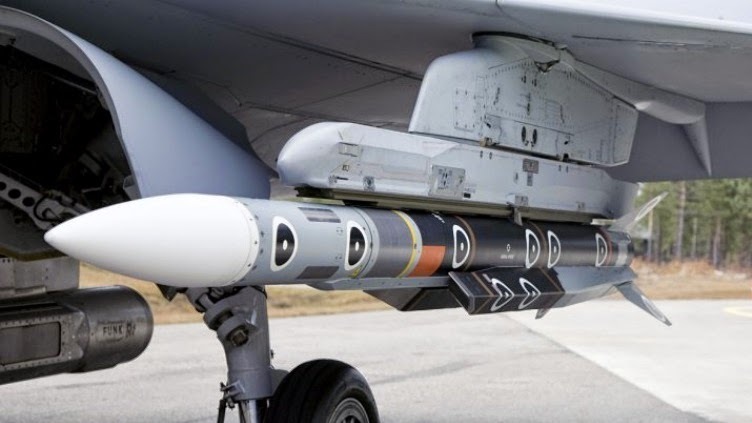 Sweden is working with France, Germany, Italy, Spain and the UK to develop and field the Meteor BVRAAM, with MBDA acting as the programme’s prime contractor. The Meteor is a highly advanced, long-range and agile air-to-air weapon that is uniquely designed to counter the most sophisticated airborne threats of the 21st century. Full Meteor integration will be delivered to the Swedish Air Force as part of the MS20 systems update. When MS20 enters service in 2015 Gripen will be the first platform with an operationally effective Meteor capability. At that point Meteor capability also becomes available for other Gripen users. Sweden has signed a contract for delivery of serially-produced Meteor missiles in addition to the integration missiles that were used during trials.